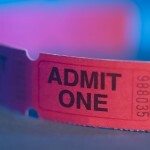 Ticket Info - Otter Productions Inc. | Otter Productions Inc. Ticket Info - Otter Productions Inc.
http://www.pacslo.org For online ticket information or to purchase tickets online for all Otter Productions, Inc. performances at the Christopher Cohan Performing Arts Center in San Luis Obispo, CA, please click here: http://www.pacslo.org. To order by Phone, in (805) area code please call: (805) 756-4849. For online ticket information or to purchase tickets online for all Otter Productions, Inc. performances at the Fremont in San Luis Obispo, CA, please click here: https://fremontslo.com. To order by Phone, please dial (888) 825-5484.